I spent this past weekend in Melbourne with my friend Jordyn, we went down to see Demi Lovato in concert and decided to make a weekend out of it. 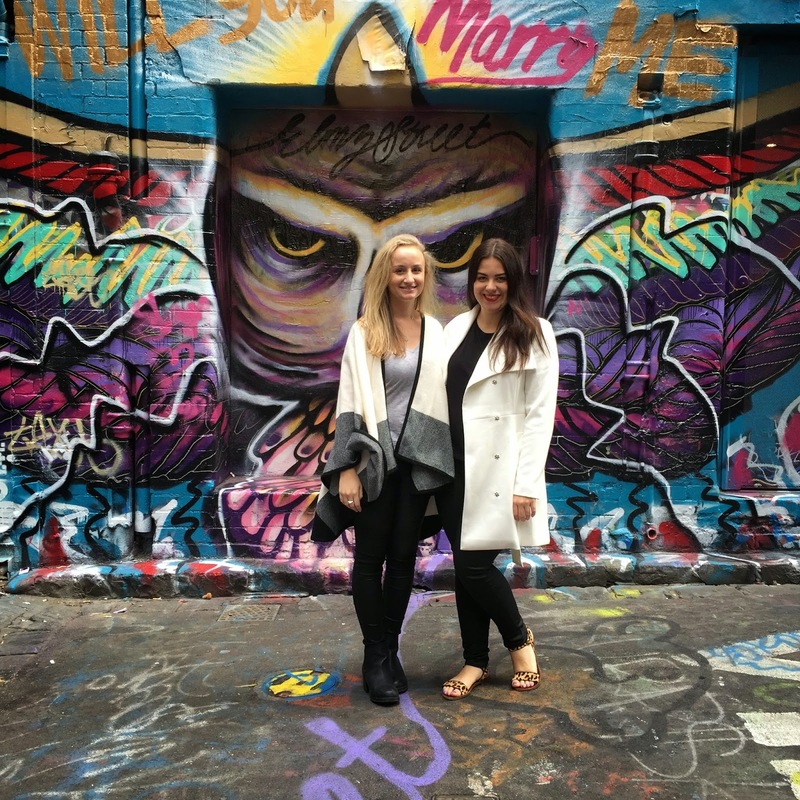 We arrived bright and early on Friday morning and wanted to immediately check out the coolness that is Hosier Lane! We probably spent more than hour here wandering around and taking it all in – and of course took a million and one photos! I LOVE THESE. I really really love that cape thing omg these photos are amazing!! Emma your photos are so cute and fun. I love how you did it behind all the graffiti. Sounds like you had an awesome time with your friend.